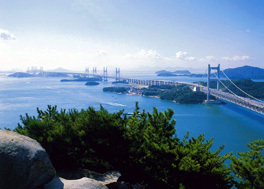 Hugging the shores of the Seto Inland Sea to the south and the Chugoku Mountains to the north, Okayama Prefecture enjoys a mild climate and few rainy days. The prefecture harvests an abundance of food from both the sea and mountains. 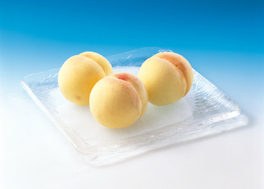 Among the bounty are superb peaches, grapes, and other tasty fruits. 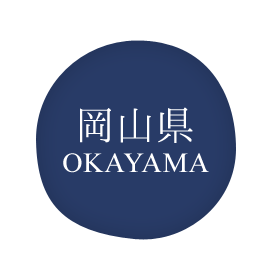 Okayama's most well-known dish, barazushi, is believed to date back to feudal Japan when the lord of what was then Okayama han ordered his subjects to adopt a simple lifestyle. He decreed that they eat only a single bowl of miso soup, a bowl of rice, and one side dish at every meal. 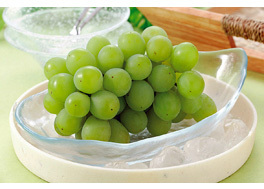 Looking for a way around the spartan rule, people began adding many different toppings to their bowls of rice which they still counted as a single dish. 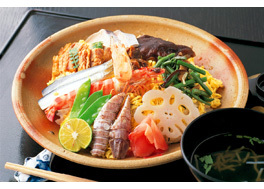 Barazushi, a variety of sushi in which the rice is topped with different types of seafood and vegetables, is thought to be a product of this era. 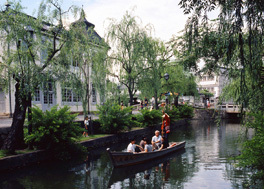 The area where Okayama Prefecture lies today was known as Kibi in ancient times. Kibi enjoyed great prosperity and is believed to have been the birthplace of the world-renowned Japanese folktale, Momotaro, or Peach Boy. 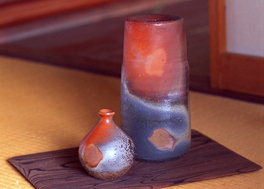 Traditional crafts are alive and well here in the birthplace of the famed Bizen ware. This unglazed pottery is handcrafted using only earthen clay and fired via a method that has been passed down over centuries. 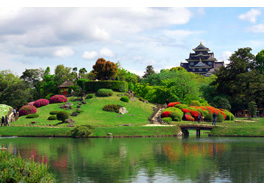 Among the prefecture's treasures is the Okayama Korakuen garden. Built for a feudal lord some 300 years ago, visitors strolling its circular path will be pleased to find it still retains its original splendor. 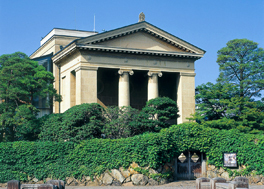 Visitors making the rounds in Okayama also make it a point to see the Ohara Museum in Kurashiki, Japan's first Western-style art museum. currently there is no available tours.